In this episode, Sven Johann and Eberhard Wolff talk about technical debt and how to handle it. They begin by defining external and internal quality and then talk about technical debt as a metaphor for discussing quality with management. They then consider whether technical debt is bad and how to handle it by using Eric Evan’s strategic design. The show explores the reasons for technical debt; Martin Fowler’s quadrant model is good for categorizing the root causes. Approaches to handling technical debt include the radical question of whether technical debt should be repaid at all. After all, debt-free systems actually might not exist, which leads to the question of whether technical debt is a good metaphor. Quality investments based on the SQALE (Software Quality Assessment based on Lifecycle Expectations) provide a different metaphor and another way to handle technical debt. 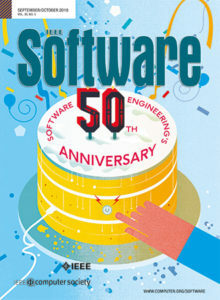 Eberhard Wolff (EW): Technical debt is obviously connected to the quality of software. There are actually two types of quality. One type is external quality, which is perceived by a user or customer. That might be the performance, security, scalability, whether the software is stable, and so on. It can be measured and experienced by users. Because it’s a feature of the product, it should be managed by the product owners because they are interested in the quality and how the software will be perceived and used by the user. The more complex part is that there is also internal quality. Internal quality can only be perceived by developers. It’s anything that makes extending and maintaining the code easier or harder. That could be things like tests that are there or are missing—if there are more tests, the code is easier to change. Internal quality can be about architectural styles or problems or it can be about coding issues—whether the code is too complex or too easy. The hard thing about software development is that internal quality cannot really be perceived by anyone except technical people. If you’re not a technical guy, it’s hard to see what this internal quality really is and how it influences the development process. Sven Johann (SJ): You could say “technical debt” is a metaphor to describe not-quite-right code. The technical-debt metaphor helps us communicate that if we want to build something on top of not-quite-right code, it’ll be expensive to do something on this code base later on. So, it takes longer to implement a new feature on a not-so-good code base. Also, internal quality sooner or later becomes external quality. If we have a bad code base and then get more and more bugs, it will eventually bubble up to the stakeholders of a project. Technical debt is actually not a developer problem, it’s a company-wide problem. If you have too much technical debt, in an extreme case, whole engineering departments can stand still. EW: You could argue that technical debt is actually one of the key points to successful software projects. The term was coined by Ward Cunningham in 1992; he said that shipping first-time code is like going into debt. A little debt speeds up development so long as it is paid back promptly with a rewrite. The danger occurs when the debt is not repaid. Every minute spent on not-quite-right code counts as interest on that debt. Entire engineering organizations can be brought to a standstill under the debt load of an unconsolidated implementation. This clearly says that the technical-debt metaphor is closely related to financial debt. It’s about shipping something quickly and going into debt. Then you need to repay the debt by increasing the quality later. If you don’t do that, you will have to pay interest rates because your productivity goes down. This is a good metaphor to use when talking to management, because they should be familiar with financial terms and you can tell them this is just like getting a loan at the bank. You have some benefit for some time, but then at one point you need to repay it … plus the interest rate. SJ: A while ago I had a discussion with Ward Cunningham about technical debt, and he said technical debt is actually a strategy because we can quickly reach a business goal by going into debt. For instance, it is much more important to bring something on the market very fast than having perfect code and being late. Eric Ries describes this in his book The Lean Startup (Crown Business, 2011). When he worked at startups, he was always so happy that he wrote perfect code, but in the end nobody used it. So it’s better to build something quickly and bring it in front of the user to see if it’s actually useful for anybody. If it is, we can pay back the technical debt. If we create perfect code for functionality and don’t know if it’s useful or not, it’s a waste of time. Henrik Kniberg from Spotify wrote a blog post describing this. We see perfect code as a waste if we don’t know that the functionality it creates is really useful. [Developers] come up with the functionality extremely quickly, but it’s not in very good shape. They bring it in front of the user, and if they see that the user likes it and they want to build on top of that functionality, they refactor it and make it nice. We see these strategies over and over again. Twitter seems to rewrite its system all the time. Amazon was also a very different system in the beginning. EW: When I talk to software architects, I give them exercises and they often come up with solutions that have scalability in mind. They think scalability is their main concern, while in fact they should probably focus on time to market because otherwise they won’t reach the point with the software when they would need the scalability, because then the company would already be bankrupt or the business case would be gone. So as you see, [technical debt] is not necessarily always a bad thing. Still, you need to deal with technical debt somehow. One of the great ideas I came across at one point was by Eric Evans, who wrote Domain-Driven Design (Addison-Wesley Professional, 2003). There is a part of this design that basically everyone knows about, the ubiquitous language and repositories. But there is a different part of that book that not too many people seem to have read. That is about strategic design and design on a more coarse-grained level. [Evans] says that you cannot have the same quality throughout the whole system. You will have good and bad developers on your team. Even if you have a very, very good team, there will still be better and worse developers. What can you do? You can leave it to chance which parts have better and worse quality, or you can make a conscious decision. Which parts of the system are really important concerning changeability? You might get that information from historical data, or you can think about it from a business perspective. “Which parts, if we can change them quickly, will give us a competitive edge?” For example, the way you do your shipping is very important. In that case, the part of the system that does the shipping should be of high internal quality. Let’s say you have a really nice domain model that is highly sophisticated, and the code is of quite high quality. Then you have a different part of the system—for example, the part that deals with the customer—and that is just standard software that has low quality and a pretty awful domain model. To make sure this awful domain model doesn’t leak into your valuable shipping system, you build in an anticorruption layer that separates those two models and translates between them. You decide which parts are important, and you care about those and have your best developers working on them. You monitor the quality closely, and so on. There are other parts where you might even use standard software that you bought, or you can just stick to your legacy system. I think that’s an interesting way of strategically developing the quality of a rather complex system. The next question is whether it is realistic to have debt-free systems. SJ: Is it possible to have a technical-debt-free system? I read quite often about “no more technical debt” and “how to be debt-free in 10 easy steps.” I think we should just accept that there will always be technical debt. Even if you have a debt-free system, how do you achieve it? You probably have to invest a lot of time and money, and that is not necessarily tied to the success of the project. EW: The key point to take away here is that the original implementations for Amazon and Twitter were hugely successful, but there was quite a lot of technical debt. Technical debt is not tied to the commercial success of a project at all. You can have an enormously successful project or business that is based on a piece of software that is full of problems. Then you can do a rewrite. Extreme programming came up with the idea to set the quality dial to the maximum and have no compromises about technical debt at all. That might be a bad idea, because then you invest a lot of resources, money, and effort in maintaining high quality even though it’s not necessary. It might not even influence the commercial success at all, because it’s something a user doesn’t even see. So what can we actually do about technical debt? One of the ways you can deal with technical debt is to create a buffer task per release. You could say, let’s allocate 10 percent of the time to the team, and have the team work on technical things that they think would improve things. You can even spend more of your budget on technical debt. You could have technical releases that just improve the code base. That means the effort invested in handling technical debt is not evenly distributed, like it would be with those buffer tasks that have 10 percent per sprint. However, at the end of the day, quality should be a business decision. It’s about prioritizing quality over features. If you improve quality, it will pay [you] back in the long term. However, if you really need to get this feature done, because otherwise your business case is gone or you have other severe business consequences, then the quality doesn’t really matter. I think the hard thing about handling technical debt is to enable the business to decide which part should have higher quality and where to invest effort. Communication with management is also the core of the metaphor of technical debt; that is why it was introduced in the first place. To some extent it’s also about trust. If the developers know how to handle quality and how to keep it up, you can have them decide where quality should be improved. Otherwise, you would need to basically beg for a budget to invest in quality. That might be very cumbersome and hard. So I think it’s about trust but it’s also about investigating where you can get a payoff. SJ: I think we have one important point left. Frank Buschmann, who is widely known for the pattern-oriented software architecture, asked, “To pay or not to pay the technical debt?” He gave three answers. Point one is debt repayment. We have a very bad piece of code or component of a system, and we decide to completely refactor or replace the code with a stable, good design. You should only do that if the code is really bad and you know you will often have to build new functionality on top of that in the future. The second point he proposes is debt conversion. You have a component or part of the system that has a very high technical debt, but replacing it is not a solution. For instance, you have a 30-year-old legacy application—you can’t just throw it away because it’s too expensive and risky. But you can try to transform the system to a good but not perfect solution, which has a lower interest rate. It’s still not perfect, but it’s much better than the old system. Great podcast that highlights that there are important pros as well as cons to technical debt. Maybe you should take out some technical credit on your project – just ensure you read the small print. This is the first episode of your podcast I listened to. It was great. I liked the well thought out perspective on technical debt, even discussing that sometimes it’s ok to get a product to market. Really interesting cast. One thing you could have gone into more is the physiological effect of asking developers to lower quality. I think it requires that you emphasise the increased velocity to compensate, but that’s a much harder thing for a developed to have a sense of. I meant psychological effect and developer, of course! I think that the Financial metaphor for Technical debt is extremely important to keep the discussion around business value, especially for the developer side of the discussion. I was a little confused when the definition of Technical Debt became so inclusive that you said it was almost useless. One point I would argue is that it is wrong to automatically treat old infrastructure as Technical Debt. There are very often pieces of code that are “done” and are not changed for a very long time. they can be very resilient to change in dependencies. On the other end of things you said that a declining Velocity in SCRUM would be a smell of Technical Debt. In my experience the added cost that is due to the technical debt is integrated into the Story estimations. So I think that the best way to measure technical debt would be the growth of the estimations on similar tasks over time. e.g. adding feature #3 gets estimated as X days, some months later feature #8 comes along, and seems to be a similar amount of content, but is estimate as 2X days. I would also say that we should keep in mind that if we never need to develop the next feature, then perhaps the technical debt is just ok where it is. I really enjoyed this podcast. I have a question for Eberhard. You stressed a couple of times that the business management people should make the decisions about when to spend time on features and when to spend time on improving quality. In many cases that I have experienced, the business people will never want to spend time on quality, because they don’t see any return for the money spent on it. All they want is new features. Eventually the technical debt brings the development shop to a crawl. Have you seen this situation? What is the solution?